UPDATE: The first Bahn Shop is set to open on SMU Boulevard this Friday, September 12. You'll have your pick of meatball sandwiches, "banh fire" bowls, and even Vietnamese iced coffee, but if you can't make it out right away, no worries. A second location is hitting DFW International later this month. Looks like the Taco Bell innovation team isn't the only one with a million ideas. Their parent company Yum! 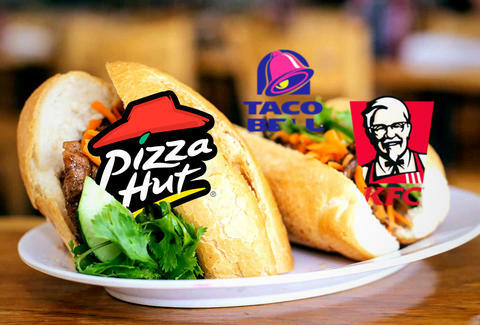 Brands -- which also owns Pizza Hut and KFC -- is aiming to mass market the banh mi next with Banh Shop, a Vietnamese sandwich joint set to launch in Dallas. Little is known about Banh Shop so far, though an eagle-eyed EscapeHatch reader claims the first store is taking up residence in a former auto repair shop near I-75. Let's hope this experiment is just as tasty as that one KFC pulled in the area earlier this year, and results in a crazy-complicated sequel to Das Racist's greatest track. Kristin Hunt is a food/drink staff writer for Thrillist, and doesn't want to know what sort of shady, backdoor deals Texas made to get all this fast food. Follow her at @kristin_hunt.